Just so I can answer that looming question that always seems to be at the forefront of your mind: no, there’s nothing Netflix cannot do. The streaming giant has become one of the most endlessly reliable sources of content across all genres, and has seemingly no trouble adapting even the most obscure or niche forms of media. Not content with dominating in the field of superhero adaptations, Netflix has also set plans in motion to begin adapting Japanese Manga. In particular, it now seems that Netflix has plans to produce an adaptation of the wildly popular Manga series Death Note with director Adam Wingard at the helm of the project. According to a new report from The Wrap, filmmaker Adam Wingard has teamed up with Netflix to adapt the beloved Death Note series. 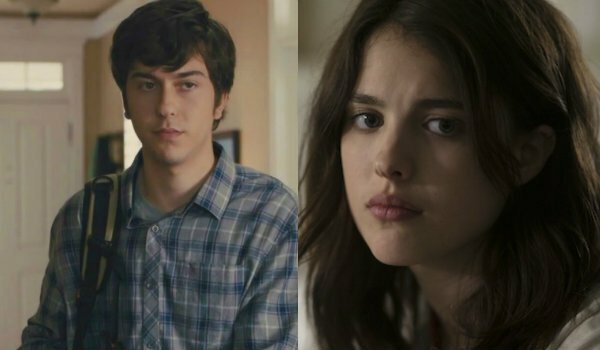 The upcoming adaptation will star actor Nat Wolff – who recent made a name for himself in the indie hit Paper Towns – as well as actress Margaret Qualley. The report also indicated that Netflix intends to cast actor Keith Stanfield in the project as well, but stipulates that an official offer has not yet been extended for him to partake in the adaptation of the Manga series. Death Note revolves around a young man who discovers a notebook with the power to kill someone by scrawling his or her name onto the pages – hence the series’ title. Once the boy realizes what he has in his possession, he begins to formulate a plan that would allow him to rule over the world by passing moral judgments on those he deems criminals. These actions eventually garner the attention of a mysterious detective who will stop at nothing to hunt the boy down. It's dark, it's creepy, and it's exactly the sort of thing we have come to expect from a company willing to take chances like Netflix. An adaptation of Death Note actually almost materialized some time ago over at Warner Bros. However, because the studio took so long in their efforts to get the project off the ground, they eventually allowed filmmaker Adam Wingard the opportunity to shop the film around elsewhere, eventually leading him to strike this deal with Netflix. Are you excited to see an adaptation of Death Note? Is Netflix the proper platform for an adaptation of this nature? Let us know what you think in the comments section below in order to keep the conversation going! We will keep you posted regarding any and all important news related to the upcoming adaptation of Death Note. Stay tuned for more details!